If you love the sheer magic and glamour of Broadway, you're going to love everything about Bangkok Cabaret. And who would blame you? 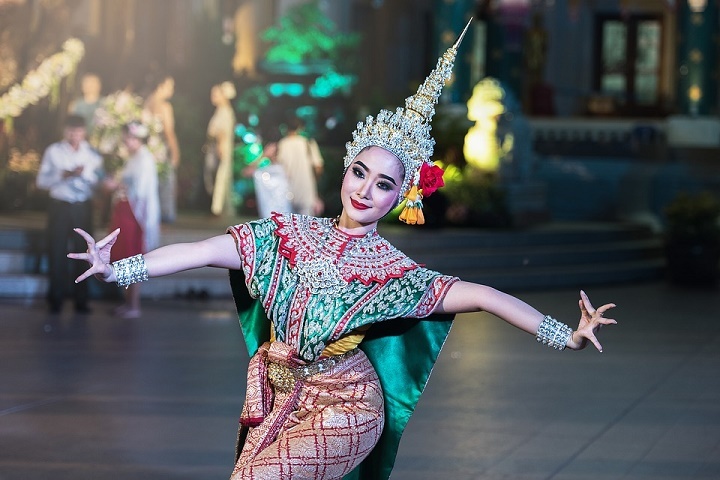 Thailand is well-known for its spectacular stage shows with some of the most beautiful, graceful and elegant Thai dancers and stunning stage sets. You'd have a hard time finding better wholesome family entertainment such as that which you'll find in this holiday destination. There's an old proverb that says - "When in Rome, do as the Romans do" As much as we should follow the customs when visiting a foreign land, it's also a wonderful opportunity to enjoy some of the pleasurable activities available which we won't find in our own back garden. 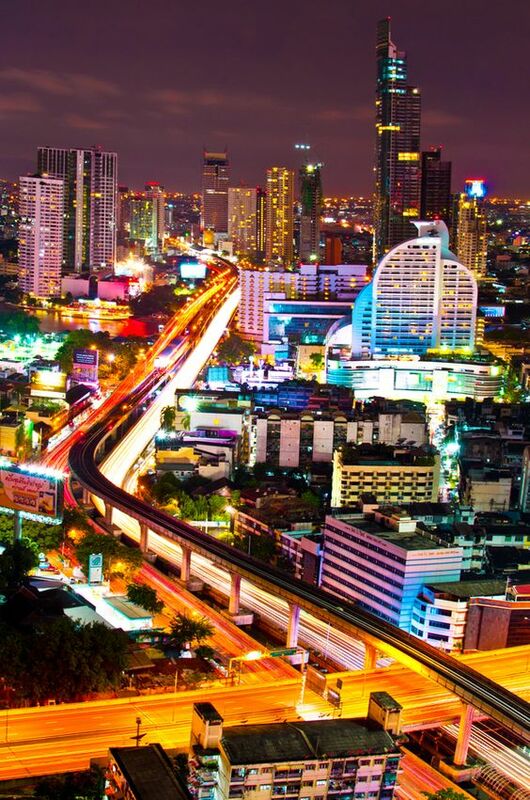 You simply cannot go to Thailand without going to at least one cabaret show and what better way to relax than to enjoy an evening out witnessing some of the most spectacular cabaret Bangkok has to offer. I've put together some of the best Bangkok Cabaret Shows you wouldn't want to miss, some of which I've attended more than once. They include the Calypso Cabaret Show, the Mambo Cabaret Show, the Siam Niramit Show, the Nanta comic show as well as the lady-boy cabaret show at The Playhouse Magical Cabaret Theatre. As you can see, there is so much to choose but all offer amazing entertainment. Though I went to many of these cabaret shows on my own steam, I have since joined a tour company who make it just that much easier to buy your tickets online and thus save all the hassles of going it alone. Below, you'll find the details for all the cabaret show, some of which also offer not only the shows but also dinners and transfers too. Join us with some live entertainment at the Playhouse Magical Cabaret Theatre at Shanghai Mansion, Yaowaraj featuring cabaret and a lady-boy show with beautiful Thai dancers and stunning stage designs which create scenes from around the world. It is a non-stop roller-coaster of entertainment that ranges through classical ballet, tap, hip-hop, contemporary styles and famous pieces from international musicals. It's all about magical illusions and spectacular voices with choreography that will leave you amazed long after the show is over. 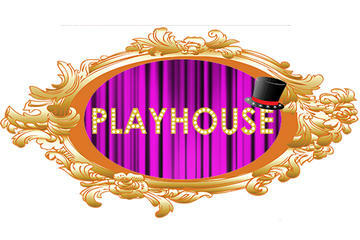 Join us for a night out at this enchanting theatre destination, named Playhouse Magical Cabaret with a live lady-boy cabaret show. It's going to be a non-stop entertainment roller-coaster show like no other. The cabaret is held on the 6th floor of Bangkok’s Shanghai Mansion located at the Suan Lum Night Bazaar on Ratchadapisek street. As you enter the playhouse you'll find yourself in a magical world featuring fine artworks and panoramic stage views. 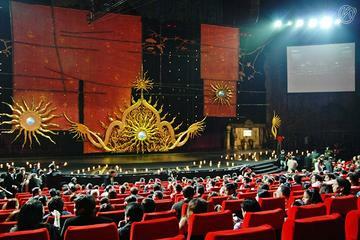 The stage designs create various scenes from around the world and the scenes change with every act to provide a natural background to the act being performed. With a good variety of acts performed by energetic professionals, playful interactions with the audience, it is the perfect fun destination for all age groups. This is Bangkok Cabaret at its best. The Bangkok Calypso show is one of the most indulging cabaret shows in the city and if you're in the city for some time, you should really try to see this show. You won't be disappointed. And you're bound to be amazed by all the glamour the drag queens up on for your entertainment. And all this at a modern theatre with state–of–the–art lighting, sound system and amazing dance performance. For this evening's entertainment, a driver will pick you up at your hotel and transfer you to the Calypso Cabaret. You're going to love every minute you spend at this Bangkok Cabaret Show as I have on so many occasions. On stage, you'll be amazed by the bevvy of professional entertainers presenting artistic impersonations through songs and tales of love and adventure coupled with a fantastic sound and light show. After the show, your driver will transfer you back to your hotel. Bangkok's Broadway-like cabaret shows will leave you spellbound! 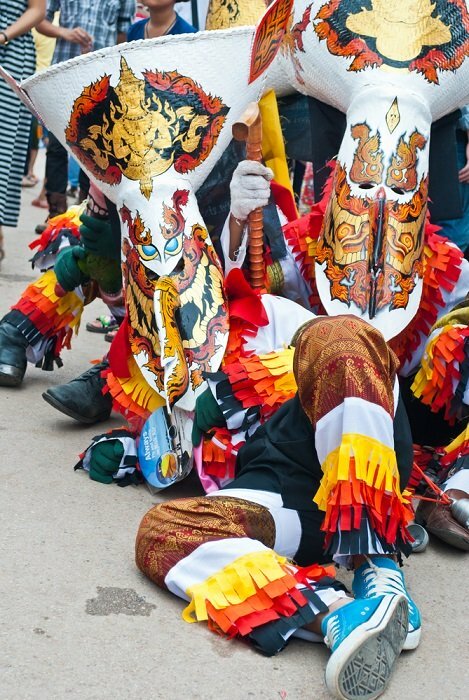 On this tour, you'll be taken to the Calypso Theatre for a one-hour extravaganza that's completely unique, featuring the best of Thailand’s transgender artists and performers on a live stage. You’ll be dazzled by the stunning costumes from sequined gowns to burlesque corsets as well as the talents of the beautiful dancers, singers and entertainers in these energetic performances. Included in the admission ticket is a round-trip hotel transport. Broadway high kicks, mimed pop songs, choreographed movements, and melodrama all add to the fun of this tongue-in-cheek Mambo Cabaret Show in Bangkok. 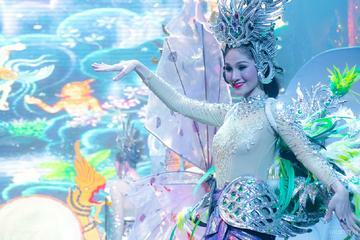 You'll be mesmerized by the glamour of all the Thai ladyboys who perform and sing in dazzling evening dresses and stilettos. Apart from the show itself, you can add your experience with a post-show dinner upgrade at a traditional Thai restaurant. Come and join this small group evening tour and enjoy a Siam Niramit cultural show followed by a buffet dinner. 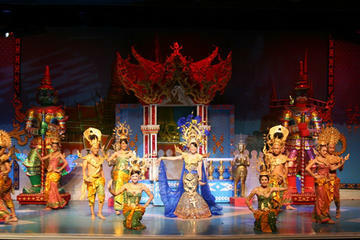 Siam Niramit is a world-class performance of Thai arts and cultural heritage. This spectacular show is performed on a gigantic stage which is listed in the Guinness World Records. 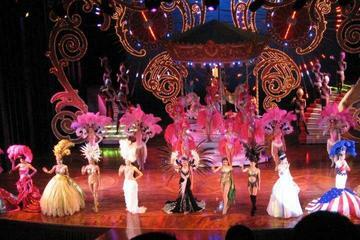 The show features over one hundred performers, lavish costumes and stunning set designs. Enhanced special effects and the most advanced technology are used to produce a realistic, stimulating and inspiring experience. In the late afternoon, you'll be transferred from your hotel to Siam Niramit. When you arrive, a Thai buffet dinner will be served. Afterwards, it's show time! 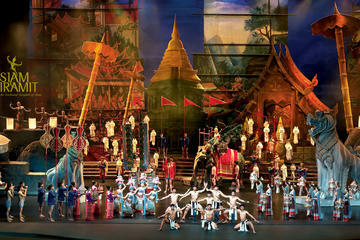 Siam Niramit is a world-class performance of Thailand's arts and cultural heritage. This spectacular show is set on a gigantic stage which was listed in the Guinness World Records. The show features over 100 performers, lavish costumes and stunning set designs. Enhanced special effects and the world's most advanced technology are used to produce this realistic, stimulating and inspiring experience. After the show, you'll be taken back to your hotel. Nanta is a comic non-verbal musical show derived from the traditional Korean instrumental performance Samulnori. With a kitchen as its background, knives and other utensils are transformed into musical instruments in the hands of the performers. 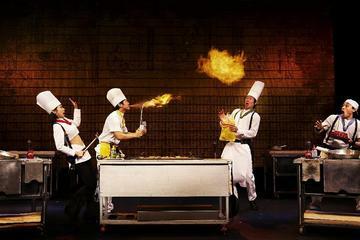 The chefs thrill the audience with acrobatic cooking shows, a surprise wedding ceremony, and an exciting dumpling challenge. For something completely different, this show comes highly recommended.